In the search for life beyond Earth, scientists have justifiably focused on water because all biology as we know it requires this fluid. A wild card, however, is whether alternative liquids can also suffice as life-enablers. 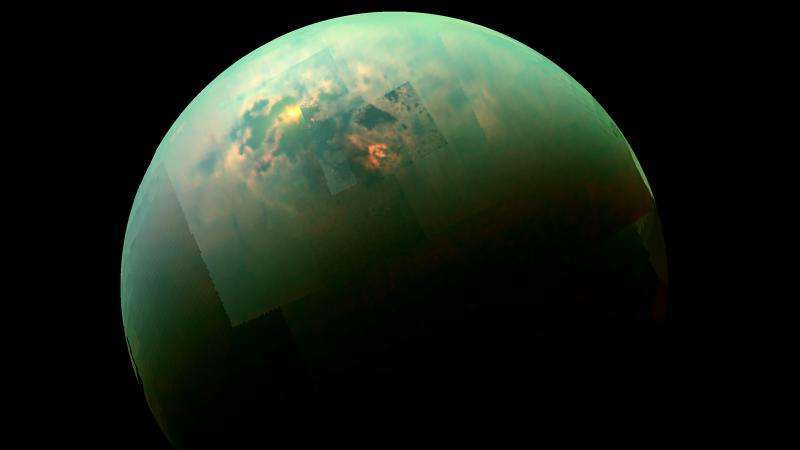 For example, Saturn's frigid moon Titan is awash in inky seas of the hydrocarbon methane. Here on warm, watery Earth, the molecules DNA and RNA serve as the blueprints of life, containing creatures' genetic instruction manuals. An immense family of proteins carries out these instructions. Yet in a hydrocarbon medium on Titan, these molecules could never perform their profound chemical duties. Other molecules must therefore step up to the plate if non-water-based, alien life is to operate and evolve in a Darwinian sense, with genetic changes leading to diversity and complexity. "The genetic molecules we have proposed could perform on 'warm Titans'," said paper lead author Steven Benner, a distinguished fellow at the Foundation for Applied Molecular Evolution, a private scientific research organization based in Alachua, Florida. 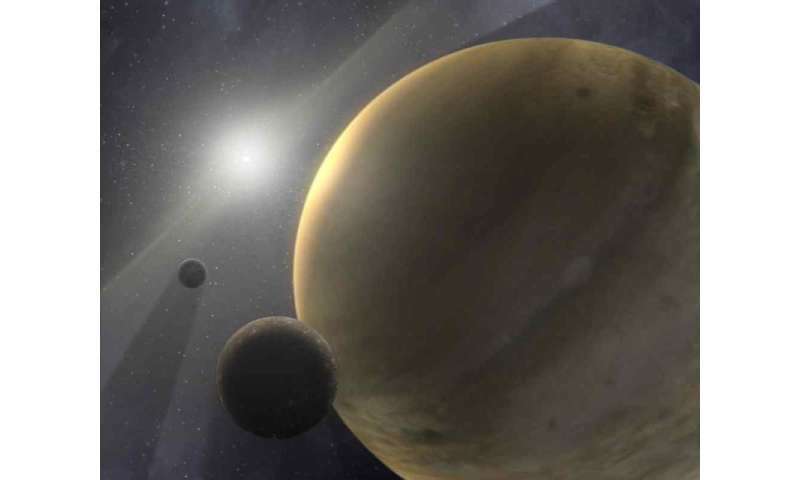 The new paper appeared in the March issue of the journal Astrobiology and was funded in part by the Exobiology & Evolutionary Biology element of the NASA Astrobiology Program. "This is the central point of the 'polyelectrolyte theory of gene,' which holds that any genetic biopolymer able to support Darwinian evolution operating in water must have an ever-repeating backbone charge," explained Benner. 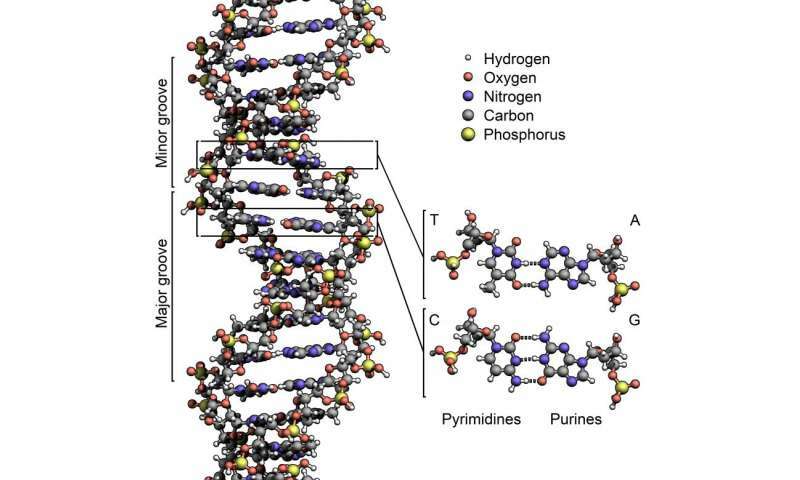 "The repeating charges so dominate the physical behavior of the genetic molecule that any changes in the nucleobases that influence genetic information have essentially no significant impact on the molecule's overall physical properties." 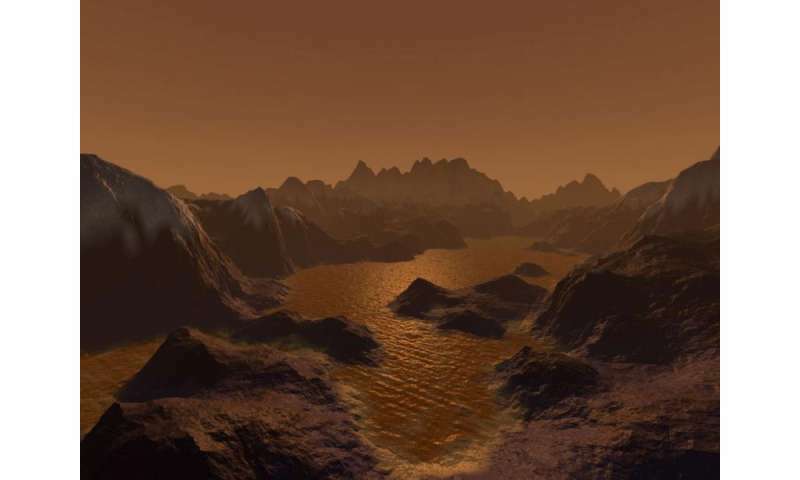 An artist’s impression of the low-lit surface of Titan under the moon’s thick, orange haze, with liquid hydrocarbons pooling and eroding the surface much like water on Earth. Credit: Steven Hobbs (Brisbane, Queensland, Australia). That broad a range with sufficient ether solubility suggests that warm Titans could harbor a truly alien biochemistry capable of evolving complexity in a Darwinian manner. These worlds could be found in a fairly wide hydrocarbon "habitable zone" around other stars. The hydrocarbon habitable zone is akin to the familiar water-based zone, wherein a planet is neither too close nor too far from its star to have its water completely boil or freeze away. There is a lot to be done to overcomes the probability that still exists against the circumstances of life elsewhere. Baby steps. Go through the most likely scenarios first. Wait until later for the more abstract. wtf does that mean? Are you a god freak? Is this stuffs the same aether that Zephir-Skippy talks about all the time? I think is different because we used to use this stuff to cold start slow and medium speed diesel engines a long time ago. But only when it was really cold. Now we don't use it for that anymore because the engines have heaters on them to get em hot before you start them and because we use the faster medium speed diesel engines than we used to use..
@ docile-Skippy. Thanks. Do you know what the difference is? The Google-Skippy is giving me confusing answers and too many different answers for me to tell which one is right.